Gear IconX: How do I charge the battery? when it has been unused for extended periods. The charging case, which has a built-in battery, is charged along with the earbuds. 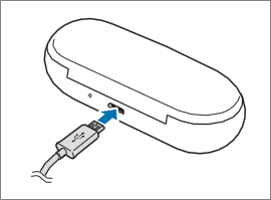 1.Push the “cover open button” to open the charging case. 3. Close the charging case. and then plug the end of the USB cable into the multipurpose jack of the charging case. 5. Plug the USB power adaptor into an electric socket. 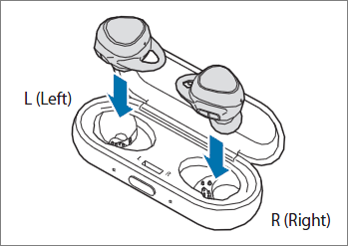 The batteries of the earbuds and the charging case are charged simultaneously. 6. After fully charging, disconnect the charging case from the charger. Gear IconX: How do I check the battery level of my earbuds? Gear IconX: How to view the Earbuds’ status? Gear IconX: I feel battery lifetime may be short. What’s the problem?